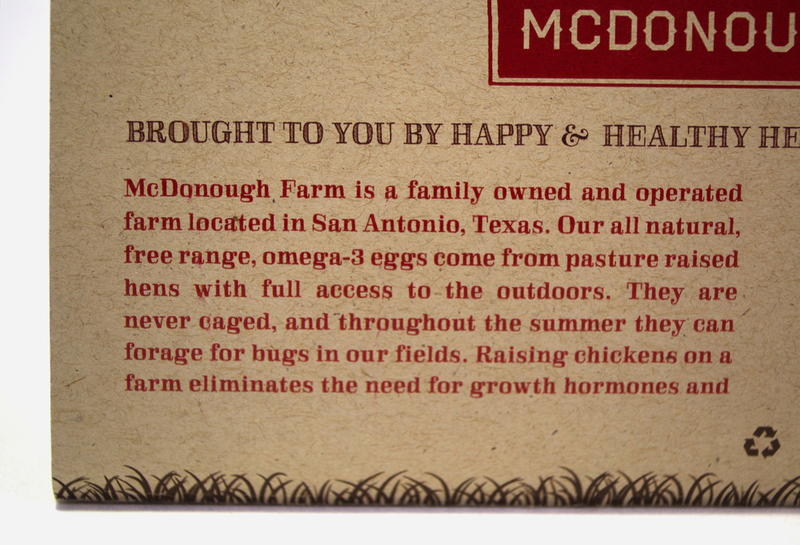 McDonough Farm is a family owned and operated farm located in San Antonio, Texas. Using natural recycled materials, this egg carton was created to give the customer a true sense of where the eggs came from. The brand identity and packaging is inspired by old farm style and as a result it embodies the true authenticity of the product. Featured on Packaging of the World.